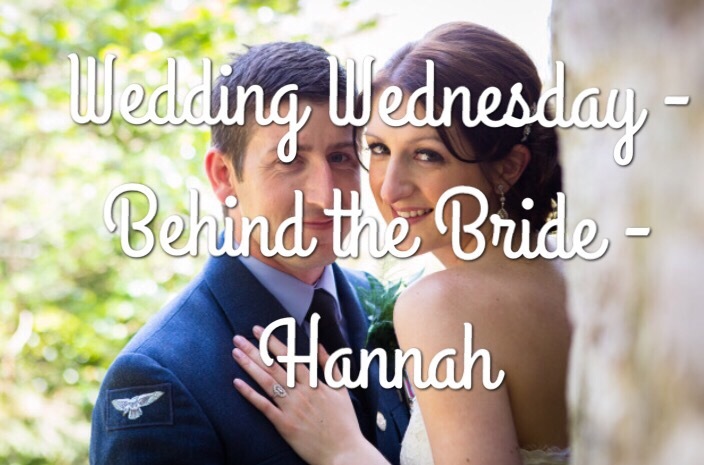 This week I spoke with Hannah from The Amphletts about her beautiful big day! Thank you, we were married on Saturday 4 May 2013. We met via an online dating site in early 2006 and after a few weeks, we met for our first date in Cheltenham. At the time, I was studying at Cheltenham Uni and Mr A was six weeks away from a three month tour of Afghanistan – not the easiest start, but a sign of all that was to come in our relationship. Eleven years later and we’ve survived four tours of Afghanistan, Norway, Egypt, Dubai and several other places in between! Mr A proposed in the sand on Rottnest Island, just off the coast of Perth, Australia while we were on holiday visiting family in March 2012. We got married at Buckland Tout-Saints in Kingsbridge, Devon – although I really wanted to elope to Vegas, but Mr A wouldn’t agree! We decided on a simple, country wedding with an element of vintage detailing. Our cake, invitations, table plan etc and the bridesmaids dresses and ushers waistcoats were all ivory, as I specifically didn’t want a colour theme to define the wedding. To tie in with the vintage element, I included items from my grandparents – my bouquet was wrapped with lace from my Nan, fastened with a brooch from my late Grandma, and cards from our guests were collected in an old suitcase that belonged to my late Granddad. Early in to the evening reception Mr A and I had a moment where we both stopped dancing and celebrating to realised how perfect the day had been. We both remarked that it hadn’t gone as fast as we had expected, which meant that we’d had the chance to catch our breath and take the time to speak to all of our guests, without rushing on to the next. We had an amazing day, and inevitably a few small details didn’t go to plan, but nothing important. If I could do it all over again though, I would definitely try a little harder to convince Mr A to elope to Vegas! The pressure of planning our wedding, trying to meet everyone else’s expectations and not going over budget tested our relationship, and at times, we lost sight of why we were getting married. The demands and expectations from others is hard to avoid or ignore, and most couples have to find a compromise on some elements, but you need to be happy with the decisions that you make and don’t loose sight of what’s important to you both. Thanks Hannah, lovely advice and a beautiful wedding! AH, Rottnest Island! Always wanted to visit there and see those lovely quakka’s. Lovely post and gorgeous photos!